This picture shows the original differential from a one owner, 17,000 mile 1954 XK120 DHC that was driven for only two years and has been in inside storage until the spring of 2002. The picture clearly shows the "Red/Orange" differential as having been originally installed unpainted. 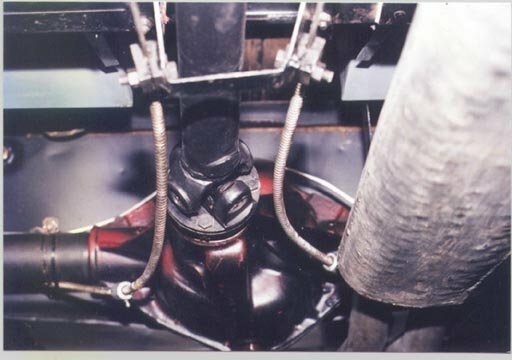 The black paint that does appear on the underside of the differential appears to be more "overspray", than anything else.. probably caused when parts of the undercarriage were painted on the assembly line.